NEW MEN’S MINISTRY God continues to move in South Hampton Roads, and He has recently expanded the ministry of CPC. Please pray for the new men’s abortion recovery ministry small group currently meeting. We pray He will bring complete restoration to these men who seek healing, hope and wholeness after abortion. FATHERS’ HEARTS Please pray for our Heavenly Father to work in the hearts of the men involved with the women we serve. 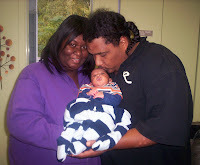 These dads have a significant impact on the decisions made by our clients. We pray these men will boldly embrace their role as fathers and commit to raising their children.